I swore I wasn't buying anything from this collection. I didn't buy anything from the first RiRi collaboration with MAC-I thought it was over hyped and I don't profess to be Rihanna's biggest fan. Controversial as this may seem I'm kind of opinion-less to be honest about her. Of course that didn't stop me reading every review out there on the new launch of the Fall collaboration and I couldn't help lusting over the RiRi Woo lipstick after reading Sunny from Mostly Sunny's review on it. I already own Ruby Woo and having seen side by side swatches I know I could have lived without RiRi Woo. 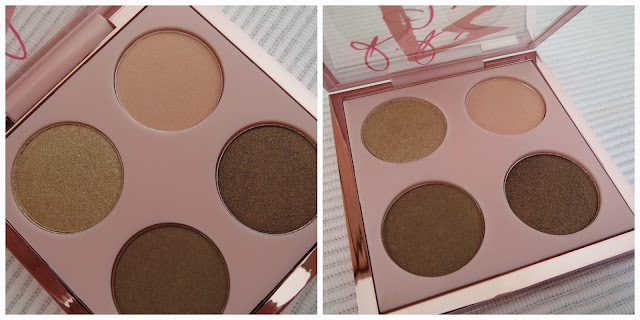 And if there was the same frenzy to get our grubby little swatch laden beauty blogger hands on this re-promote as there was at the initial launch I wasn't prepared to sit on my laptop clicking refresh on the Mac website to try and snaffle one. It was a bit too much effort. 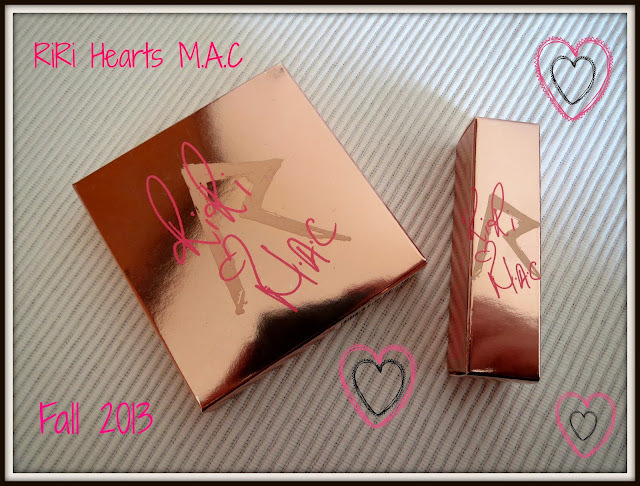 But, I was stunned when strolling through Dubai airport last week to see the Mac counter had the full collection. Tons and tons of it. I am 100% sure Dubai did not get the first launch of the RiRi collection and I had not even envisaged it would receive this one. I casually enquired 'do you have RiRi Woo in stock? ', fully expecting to be told it was sold out. But the sales assistant pulled open a drawer full of RiRi Woo! So of course I bought one. I also liked the look of the Her Cocoa quad and bought one of those too. I like the rose gold packaging-it's nice to differentiate limited edition collections from those in the permanent line. But I'll be honest, the two items I bought are not particularly innovative or ground breaking. 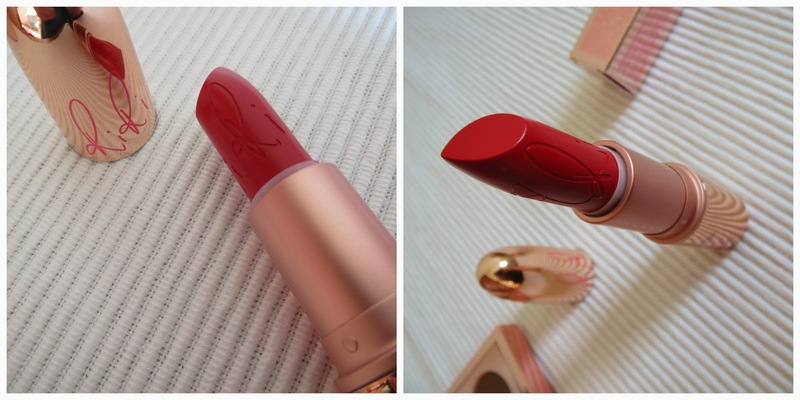 RiRi Woo is a great lipstick. A brilliant lipstick in fact. 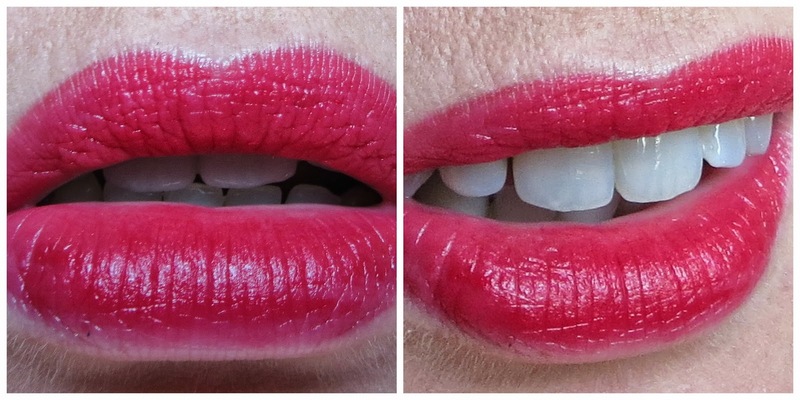 I love this blue toned red on me, it makes my teeth look whiter and it will suit most skin tones. I like the formula-although it's matte (retro matte to be exact) it's not drying at all and it doesn't have a matte flat finish-it has a slight gloss to it. It's not easy to apply direct from the bullet, it almost feels like the lipstick has been kept in the fridge overnight and needs warming up, but a lip brush does a great job and is something I would use when applying a bold colour anyway to help with precision. It's very pigmented (Mike says I should say it's bright and bold but I think that is probably stating the obvious here!) It fades fairly evenly and survived today's lunch of English muffins and bacon. I think I will reach for this a lot over Christmas, it's a great festive colour. 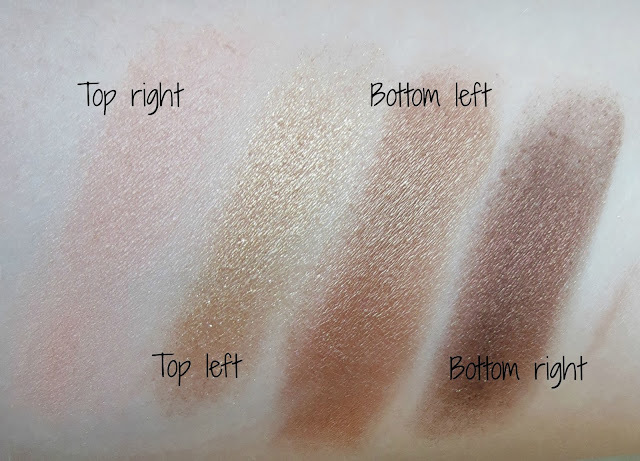 The Her Cocoa quad is a good neutral palette. Wearable. Not revolutionary or daring as you might expect from Rihanna. And not unique in it's colours. Adrienne from The Sunday Girl did a great post here where she finds dupes for each of the colours in the quad from MAC's permanent line. It contains 2 satin shades and 2 veluxe pearl-both formulas I favour from MAC. They apply and blend well. The palest cream shade is chalky when you put your brush in the pan but that does not translate into fall-out from the brush when you apply. 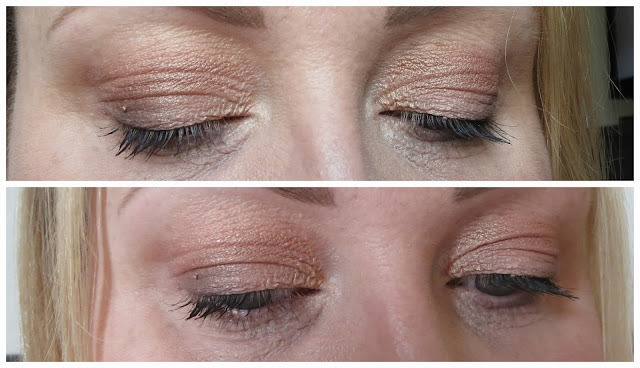 Woodwinked from Mac is one of my absolute favourite shadows, and the bottom left shade is almost identical. The shade I will use least is probably the glittery top left shadow, it looks almost gritty in the pan but again this doesn't translate on the lid. I'm pleased with both purchases and both will get a lot of use from me. But I can't help wondering why the Rihanna collaboration contains products SO similar to MAC permanent collection shades? Perhaps the rest of the collection isn't, but the two idems I purchased could definitely be easily duped from the permanent line. Did you pick anything up from this collection? Would love to know your thoughts.